There are millions of people who flock to Florida each and every year to experience all that the glorious Sunshine State has to offer. From exciting theme parks and educational aquariums to incredible watersports and relaxing, sunny beaches, Florida has it all. Many people fly inti the state to catch their cruise ships that are destined for interesting places, with people of different cultures. While going on a cruise is a very cool thing, finding a place to park your car for the duration of your cruise vacation is not a very cool thing. Parking areas can be costly, and a dangerous place to store the family car. Think about it. People are inconsiderate and if they scratch your car accidentally, very few people are honest enough to leave a note. Rather than take your personal vehicle to the seaport, you should consider using a cruise shuttle to Port Canaveral. It will simply make the start of your vacation much netter. Luxury Transportation Group USA Port Canaveral Limo services to the ports of call in Port Canaveral. When you’re going on a cruise ship vacation, you certainly don’t want to worry about your personal vehicle. As unfortunate as it is, many cars come up missing when people leave them in lots for extended periods of time. Just imagine how awful it would be to leave your dream holiday, only to find that your family car had been stolen while you were away. The chances of finding it again are nil. Naturally, once you have a car stolen, your insurance premiums go up big time. Luxury Transportation Group USA offers top of the line luxury transportation for Port Canaveral limo services for cruise vacations. It seems that there are more and more families that are taking their vacations to actually have family reunions on the ship. It’s a cool idea because people can do their own things at times, but get together with the family at other times. This makes for a great vacation, with a bit of time spent with family members as well. Rather than have everyone find their own transportation to the port of call, it’s best to use Port Canaveral shuttle services for luxury transportation. 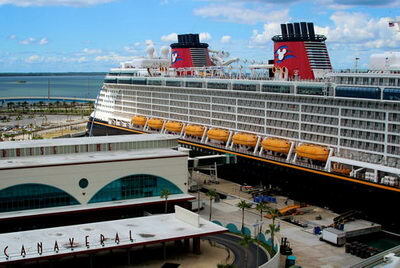 Luxury Transportation Group USA provides complete Port Canaveral shuttle services for cruises. Luxury Transportation Group USA is the premiere provider for a cruise shuttle to Port Canaveral. They also offer complete Port Canaveral limo services. Call 407-476-0429 to reserve your cruise shuttle to Port Canaveral.